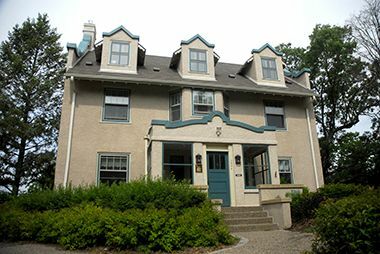 While all of the parks in Minneapolis have an extensive history, we are fortunate to house several unique historical sites. 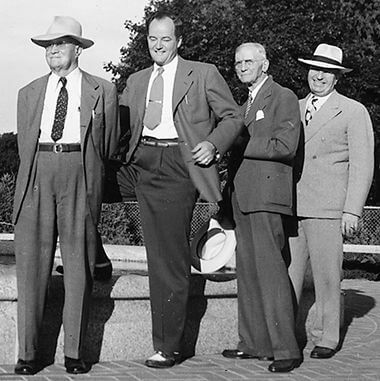 Theodore Wirth, the longest-serving park superintendent, led the transformation of Minneapolis parks into a nationally renowned park system from his drafting room in the Theodore Wirth Home. Maude Armatage was the first women elected to the park board. She served from 1921 to 1951, the longest consecutive service in board history. 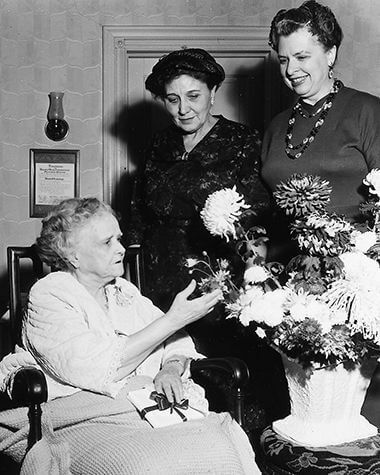 She is pictured with Inez Crimmins and Lorna Phillips, the second and third women to serve as park commissioners. 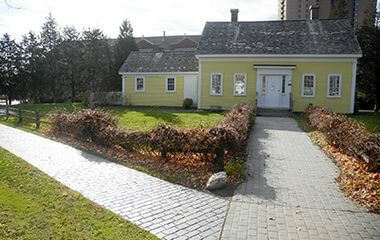 Built in 1849, the Stevens House was moved to its current location in 1896 by an estimated 10,000 school children, tugging on huge ropes in relay fashion. 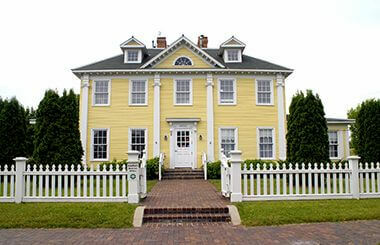 Built in 1906 as a replica of Henry Wadsworth Longfellow’s home in Cambridge, MA, it now serves as an information center. 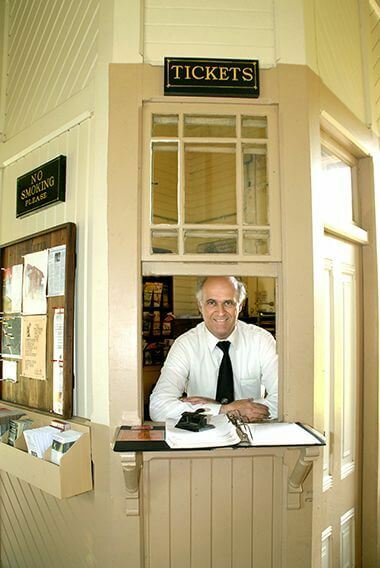 Hop on a lightrail train and visit the first train station on the west bank of the Mississippi River in Minneapolis, now operating as a museum. 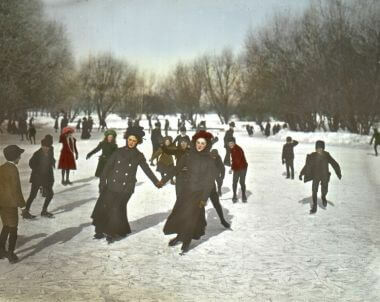 The first ice skating rink in Minneapolis parks was created in 1891. We currently have 47 outdoor ice rinks at 22 parks citywide. 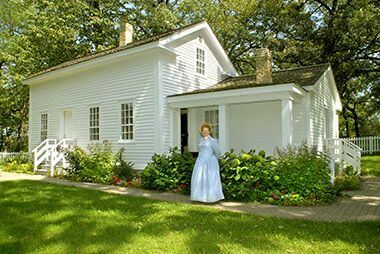 The oldest surviving frame home in the Twin Cities, built in 1848. 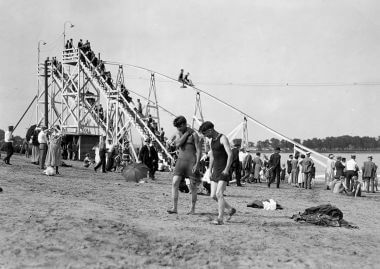 It is not clear when these slides were removed from Lake Calhoun and Lake Nokomis, but we still have plenty of water recreation activities available. 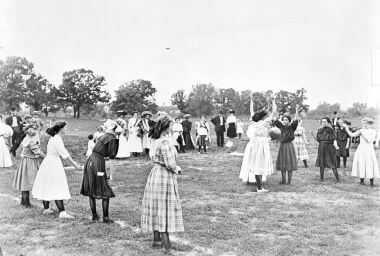 Basketball hoops were first installed in Minneapolis parks in 1908.